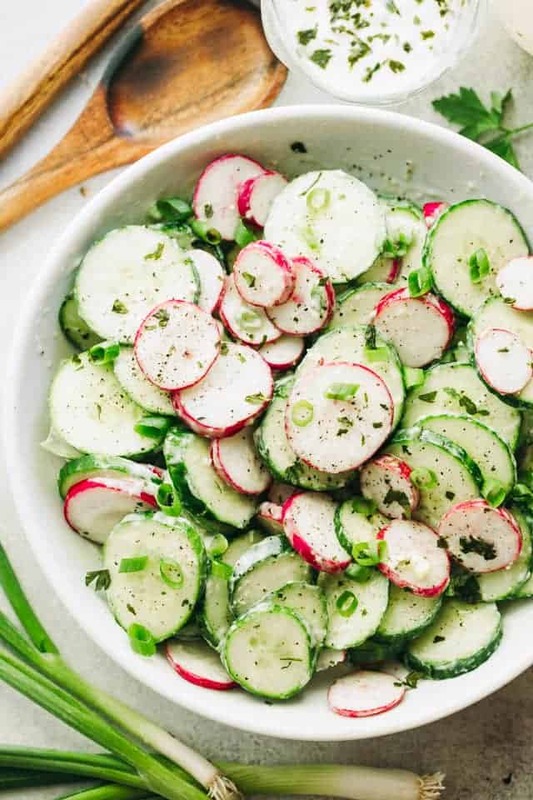 Home > Recipes + Food > Easy Lunch Ideas > 10 Delicious Cucumber Salads that Will Rock Your Tastebuds! 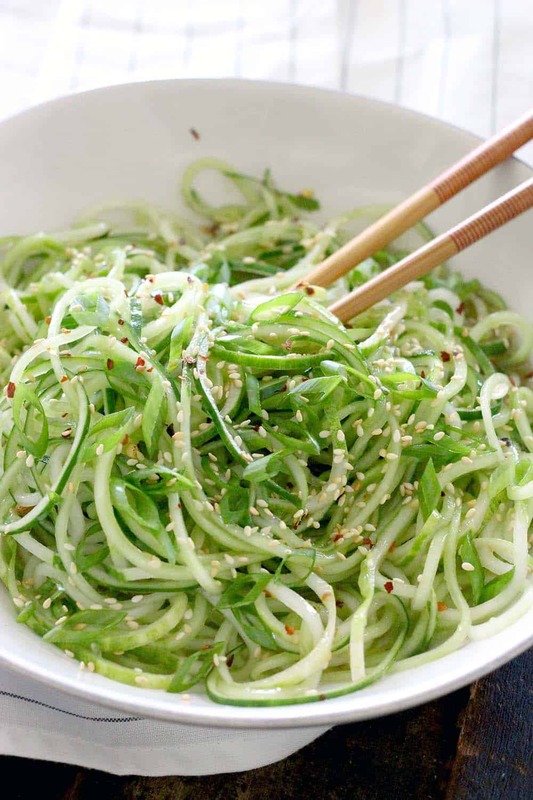 You’re going to love these simple cucumber salads! They’re refreshingly delicious and the perfect side dish for a hot summer day. If you have a bumper crop of cucumbers this year (or just got a great deal at the farmer’s market) you might be wondering how on earth you’re going to eat them all without getting bored. I’ve been searching high and low to put together a collection of the 10 best cucumber salads for you to add to your meal plan. Whether you want a side dish to serve with steaks or barbecue chicken, or a healthy lunch salad you can eat all on it’s own you will most certainly find something in this list! Make sure you scroll through the whole list so you don’t miss any of the delicious salads, and then click through for the full recipe. The food bloggers I’m featuring today are super talented so be sure to check out some of their other yummy recipes while you’re visiting! 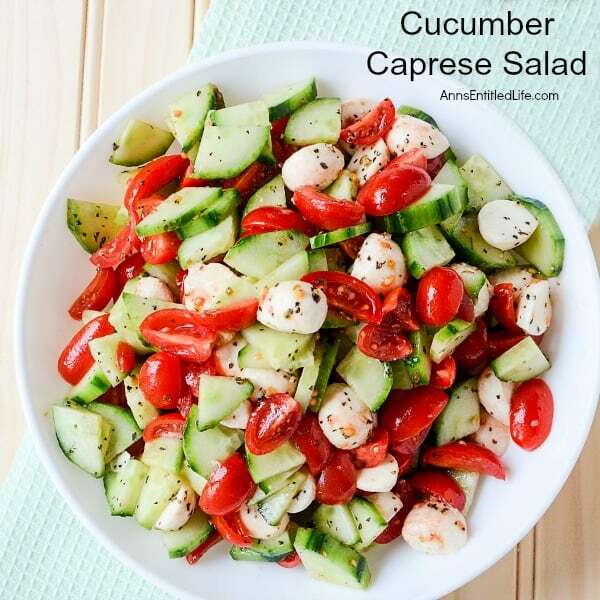 If you’re looking for a delicious cucumber salad that you can serve as a side dish when grilling out this summer this Cucumber Caprese Salad is a great choice. It goes really well with burgers, steaks and barbecue chicken. 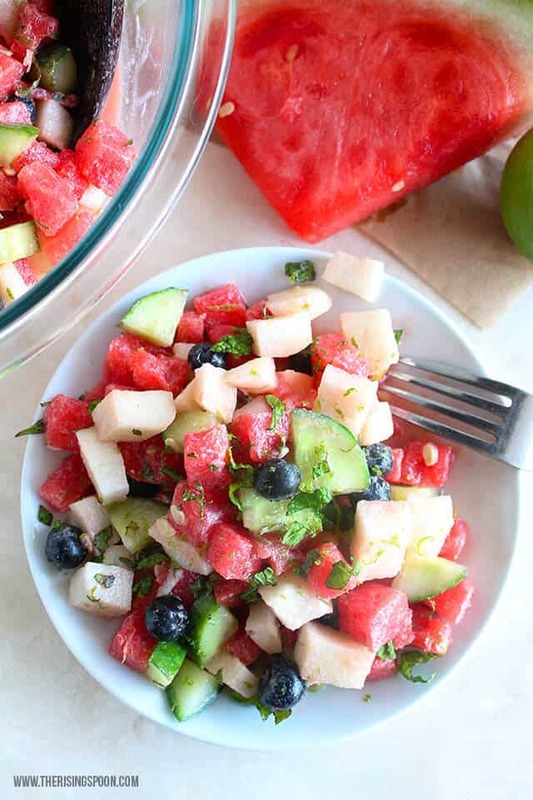 This is the salad you need on a hot day because it’s filled with refreshing ingredients like watermelon and jicama as well as the cucumber. 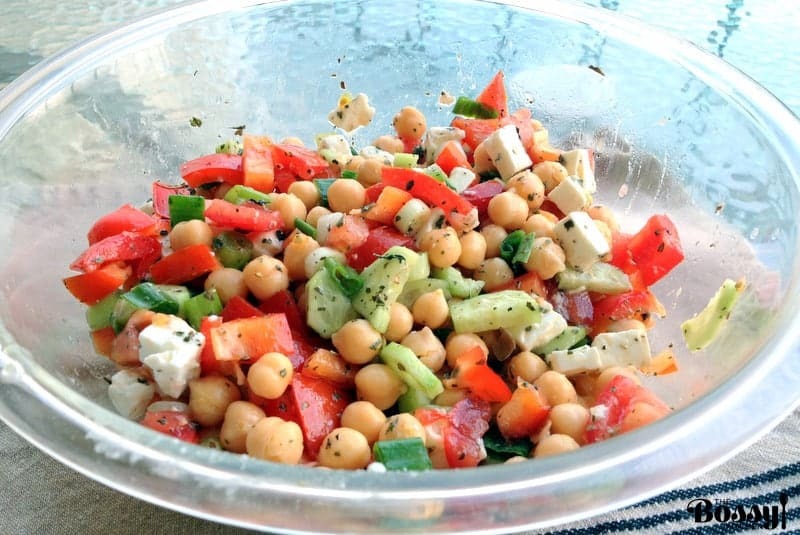 You could serve it as a side dish or just eat it as a healthy and hydrating snack! If you’re looking for a way to bring a little colour to your simple cucumber salads try radishes! Oh and if like Katerina you find yourself dicing your fingers as well as your veggies on your mandoline you need a pair of these in your life! This creamy cucumber salad is a great option if you like to meal prep your lunches because you can make a huge batch of it and then it will last in the fridge for a few days! If you’re looking for a refreshing salad to eat alongside sushi then this sesame cucumber salad is just what you need. And spirazling those cucumbers is a great way to encourage your kids to try some! 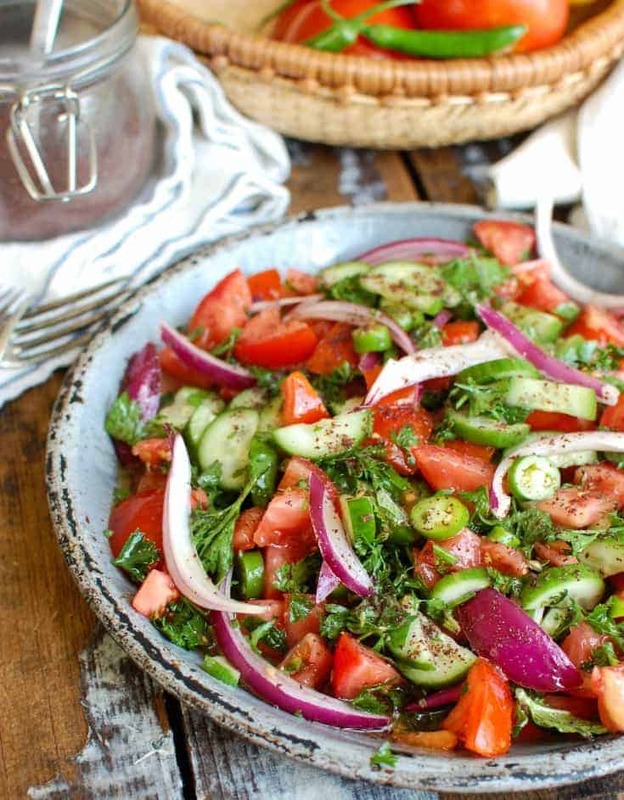 Add some chickpeas, slices of grilled chicken and feta cheese to this Persian Tomato Cucumber Salad and you have yourself a deliciously healthy lunch. It works really well as a side dish for dinner too. We’re about to hit April and Spring should be in the air – though we’re currently expecting a flurry of snow for the weekend! 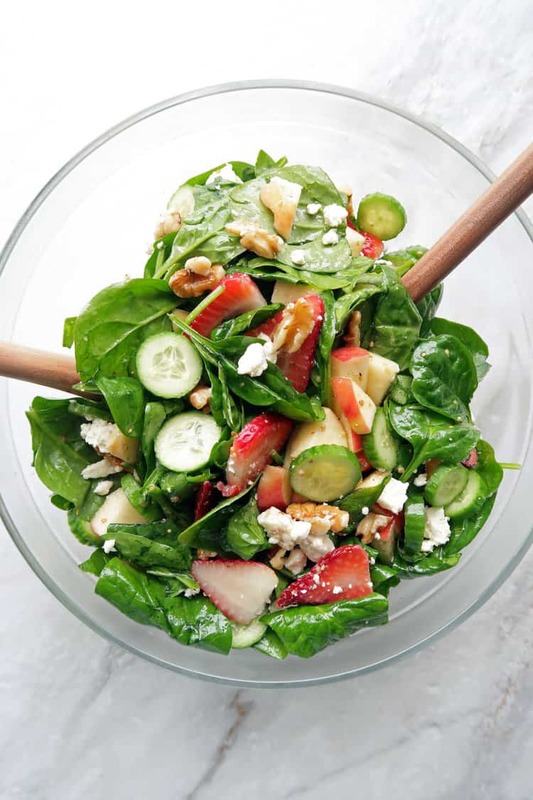 But if you’re ready to embrace Spring you need to put this delicious Strawberry Cucumber Spinach Salad on your meal plan menu for the week ahead. It’s filling enough to be a meal all on it’s own and the tangy yet slightly sweet homemade apple cider vinaigrette really brings out the flavours. You know those days when you are rooting around in the back of the kitchen cabinet and pull out a can of something you forgot you had in there? Like chickpeas! 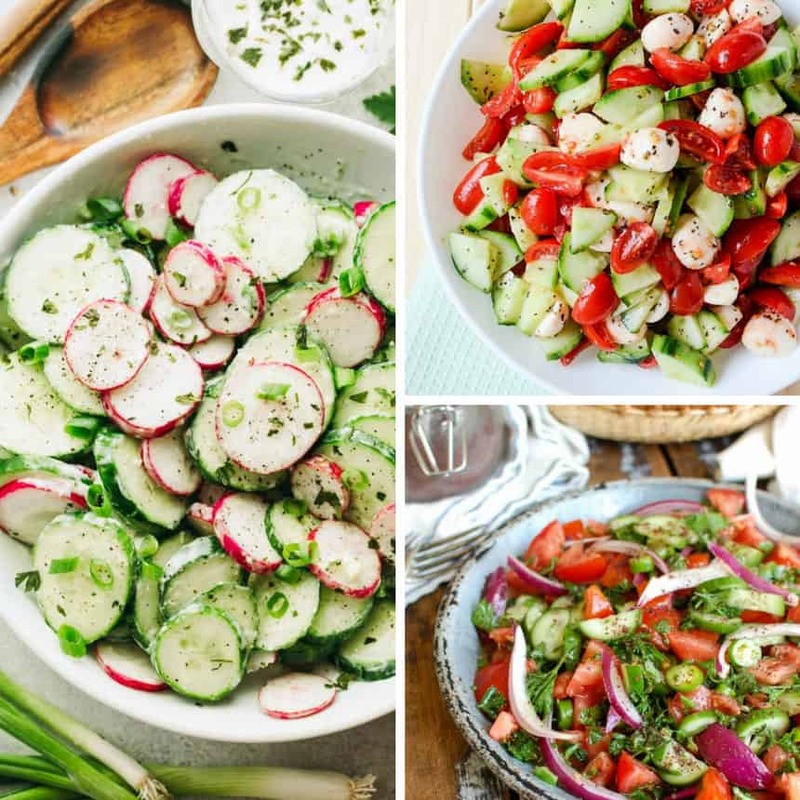 Combine them with some fresh cucumber and you’ve got yourself a deliciously healthy summer salad! 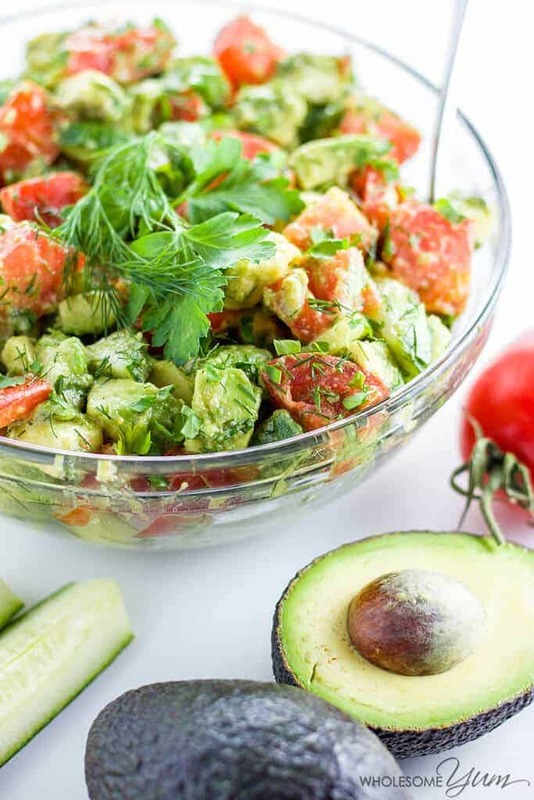 If you have a thing for avocado then you need to try this Cucumber Tomato Avocado Salad which is a healthy side dish you can eat all year round. And it’s kid approved too, Maya’s two year old daughter can’t get enough of it! 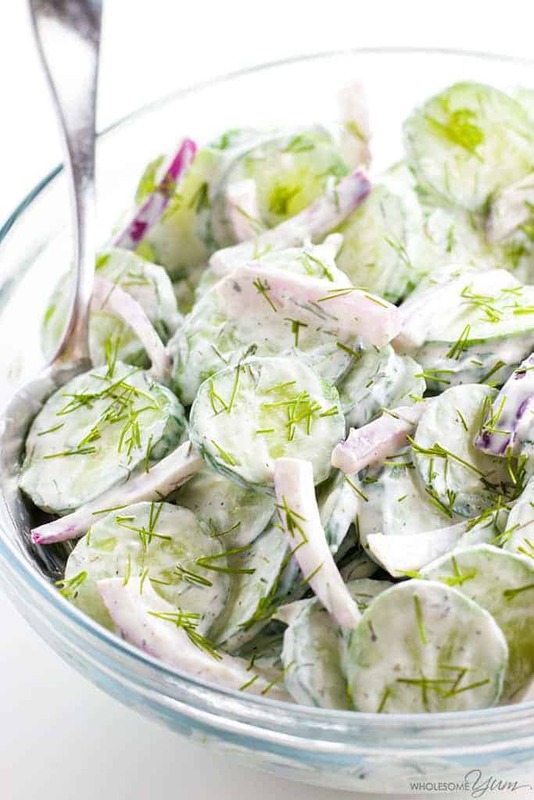 If you usually make your cucumber salads with vinegar and dill it’s time to try something different. 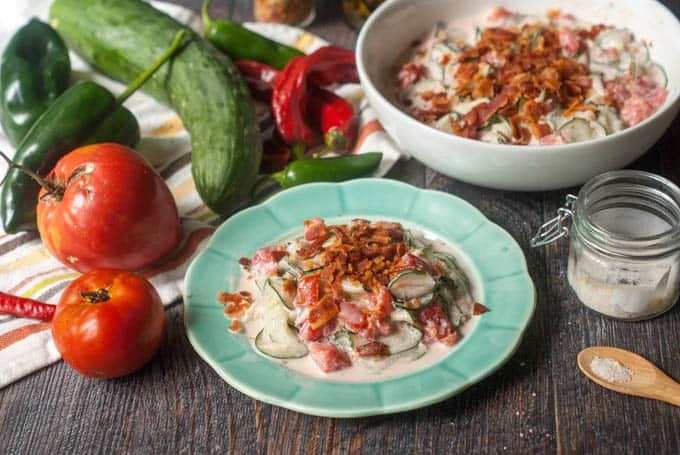 How about a creamy dressing made with sour cream and ranch dressing? Oh and don’t forget the crunchy bacon! Next PostNext How to Make Playdough Without Cream of Tartar – It’s No Cook too!